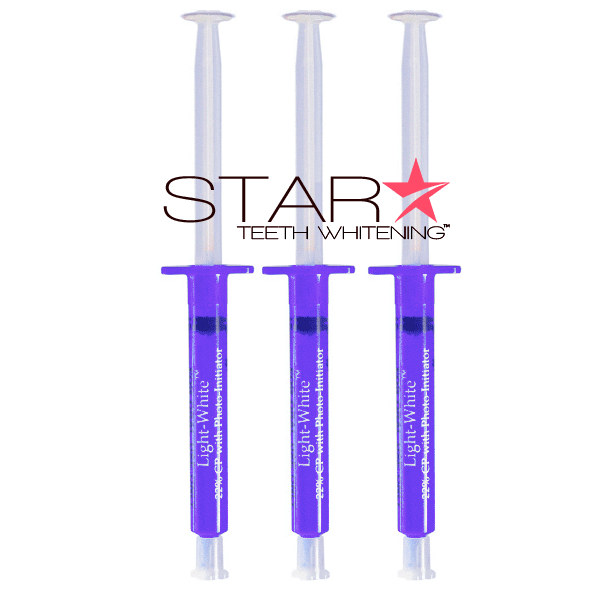 Provides instant results after a single 30 minute Star Teeth Whitening treatment. Exact same gel and treatment performed by a cosmetic dentist in-office chair side. Includes everything needed for a professional teeth bleaching at-home with maximum results. 6-10 Shades Whiter – Guaranteed! *Share and get a FREE 44% GEL! 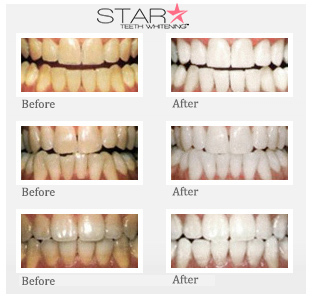 Star Teeth Whitening 30-Minute Treatment is a new innovation in teeth whitening. It is a light-activated teeth whitening gel that contains a patent-pending photo-initiator. It catalyzes the release of free radicals when exposed to radiation between UV and visible blue light in the range of 360 – 480 NM. It is the best performing teeth bleaching gel on the market. 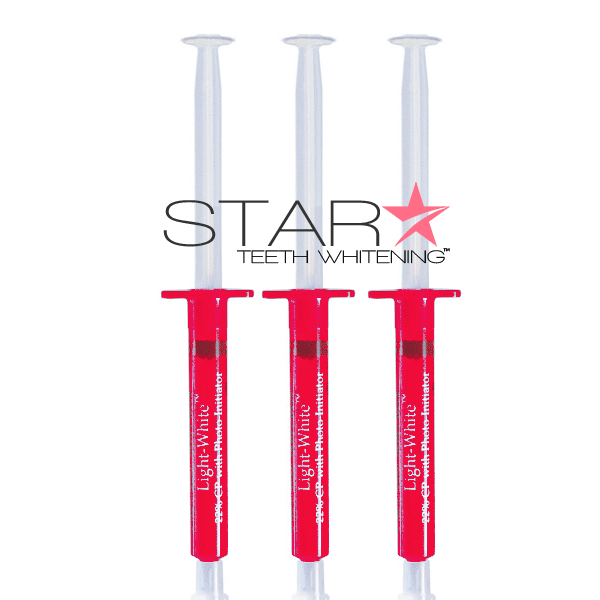 44% Photo-Initiator Gel is a light-assisted tooth whitening gel for use on severely discolored teeth. 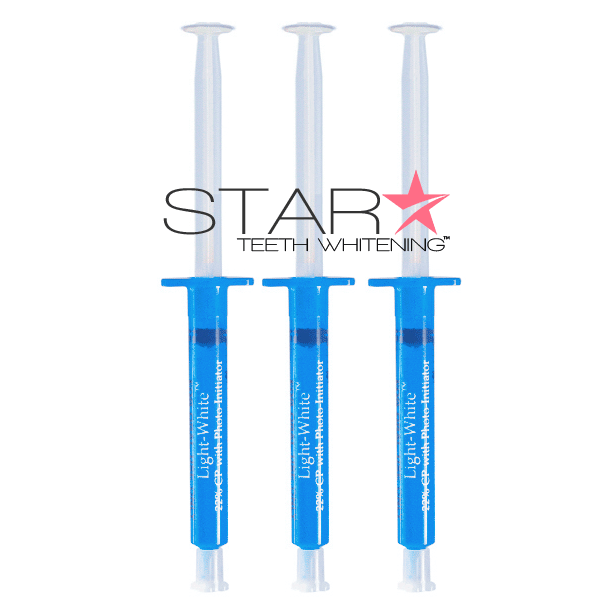 It has been one of the most important innovations in the teeth whitening industry for the past 20 years. 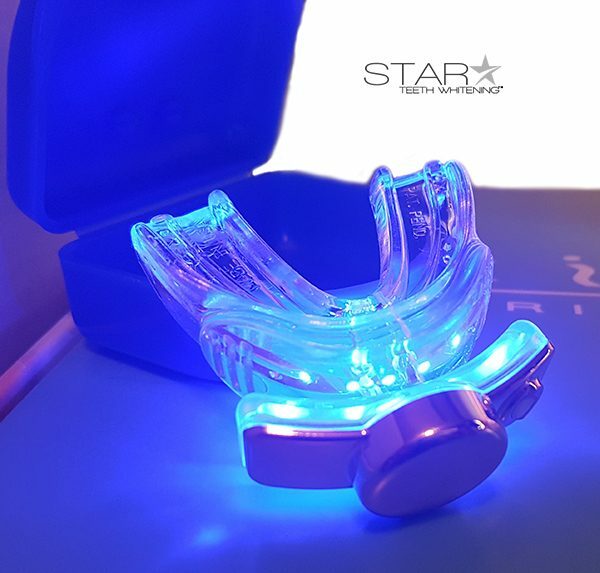 The gel has been clinically proven to whiten teeth an average of eight shades in just one 30-minute office visit or at-home treatment, giving our patients and/or customers the immediate results they desire. The active ingredients of the photo-initiator are 44% carbamide peroxide and 1% hydrogen peroxide. As the peroxide decomposes in saliva, oxygen released by the reaction enters the enamel and dentin. This process bleaches the colored substances while leaving the structure of the tooth unchanged. The specific range of wavelengths (as noted above) of light emitted from the lamp or laser used activates the carbamide peroxide and helps penetrate the outer surface of the teeth. The 44% Photo-Initiator Gel contains a proprietary (patent pending) micro encapsulated photo-initiator that acts as an interface between the laser-light and the carbamide peroxide. The pH of 44% Light-White™ gel is 7.0. 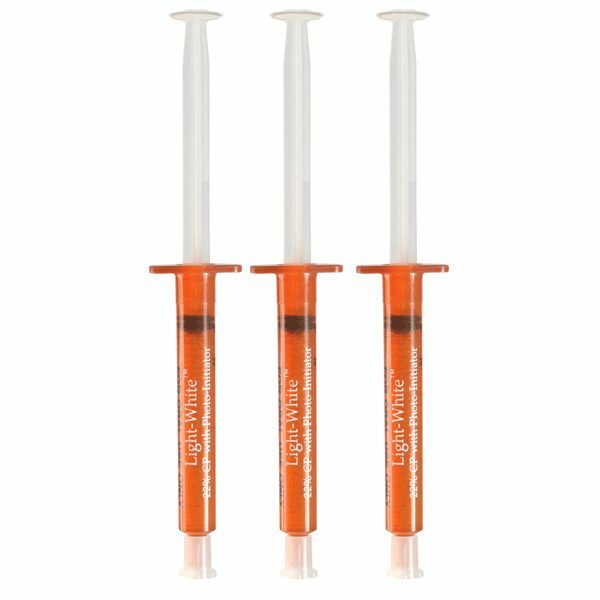 The true advantage of the 30-minute Light-White™ gel technology is that its composition is contained within a convenient, cost-efficient single chamber delivery system. The gel has micro capsules containing a light-activated photo-initiator of a peroxide-containing teeth whitening composition that are liberated upon applying pressure to the micro capsules or by exposure to water or other oral fluids. After the initial recommended oral exam, the procedure should be completed in one office visit or three home applications. The procedure begins with a preparation period (wetting of teeth and isolation of tissue) followed by two or three 15-minute sessions of bleaching with an optional fourth 15-minute session to be dispensed at the discretion of the user or dental practitioner. DISCLAIMER: Do not use if you are pregnant, nursing, or if you have poor dental health (such as decayed teeth, exposed roots, gum disease), had a recent oral surgery, or if you have jaw problems. It is also not recommended to use this product if you are wearing braces. At-home treatments involve certain risks and you should consult your dentist before usage. Side effects may include tooth sensitivity and gum irritation. These will disappear within a few days after discontinuing use. If you notice these side effects, decrease the amount of time you bleach your teeth and increase the amount of time between bleaching sessions. YOU SHOULD NOT USE THIS PRODUCT IF YOU ARE PREGNANT, HAVE HEALTH PROBLEMS, PERIODONTAL DISEASE OR GUMS THAT ARE IN POOR CONDITION, WEAR BRACES, HAD RECENT ORAL SURGERY, DECAYED TEETH, HAVE ROOTS THAT ARE EXPOSED, HAVE COLITIS, OR HAVE JAW PROBLEMS. 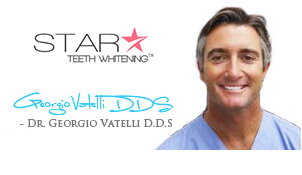 BY PLACING AN ORDER WITH STAR TEETH WHITENING LLC, YOU AGREE TO THESE CONDITIONS. + Worked as described. Fast shipping! + Laser light works great! Saw a big difference the first time. Thank you!! 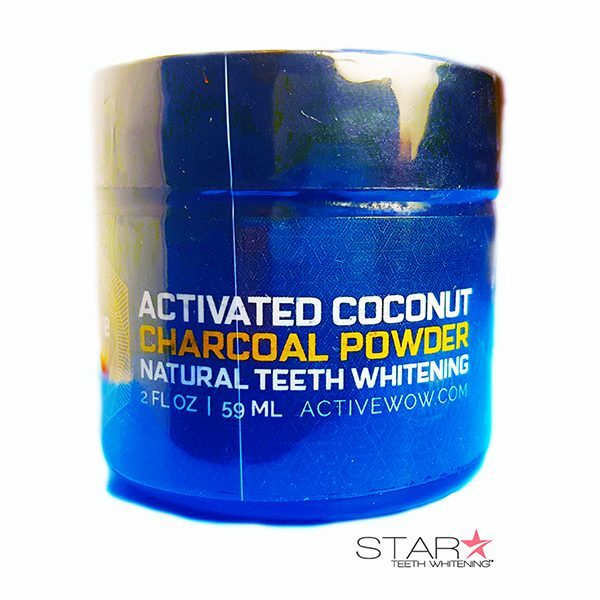 + I love this tooth whitener! It’s the best!! Super fast shipping! Thank U! + received the product within 2 days. I’m using it right now with great results.